The Technology department at Cheam High School has been judged as good overall with some outstanding areas based on the department review of 2017/18. Key points for future focus have been identified to move the department towards offering an outstanding educational provision in all areas. Mrs White is the Subject Leader for Technology and the department is made up of five Technology and Construction teachers and a highly experienced Curriculum Support Assistant. The department incorporates Graphic Products, Resistant Materials, Textiles, Food and Construction. It is based in its own dedicated buildings which includes 2 food preparation rooms, 2 rooms for Graphics and Resistant Materials (RM), a Textiles room, three computer rooms and a Construction workshop with an outside building area. Mrs White is supported by Mrs Simpson who has responsibility for Textiles and Miss Giordano who specialises in Food Technology. The Construction provision is led by Mr Bailey and Mr Edwards. Mrs White is an extremely able and enthusiastic head of department. She is always looking for ways to innovate and create excitement throughout her subject area. Mrs White and her team are constantly developing the curriculum to incorporate new projects which cross over the traditional technology areas to ensure students understand the breadth of design applications and key design principles underpinning each area. 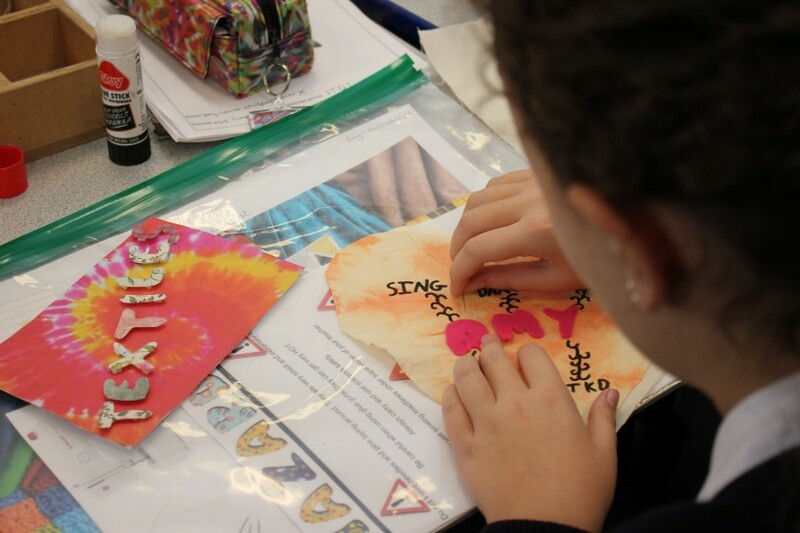 Technology offers a broad curriculum which covers elements of Graphics, Textiles, Food and Resistant Materials at KS3. At KS4 and KS5 students are able to specialise in their preferred area and take on GCSE, BTEC or A Level courses. The teaching in Technology is good with many outstanding features. Students of all abilities show a positive attitude to the subject and enjoy being challenged to work hard. Lessons are well planned and structured with clear targets. Students especially appreciate the detailed feedback given to them at GCSE and A Level and many really enjoy the creative and practical aspects of the courses on offer. The behaviour in lessons reflects the students’ positive attitudes to the subject. Students are focused on achieving their aspirational targets and are always looking for ways to improve their Technology and Construction skills. Students are highly enthusiastic about their learning in Technology lessons and participate fully in lessons and in extra-curricular activities. The department offers a variety of intervention sessions, especially for KS4 and KS5 students, to help them improve their work. These sessions have led to some improvements in the achievement in specific subject areas. The department runs a Cooking Club and a Textile Bunting competition for Year 7 students after school. 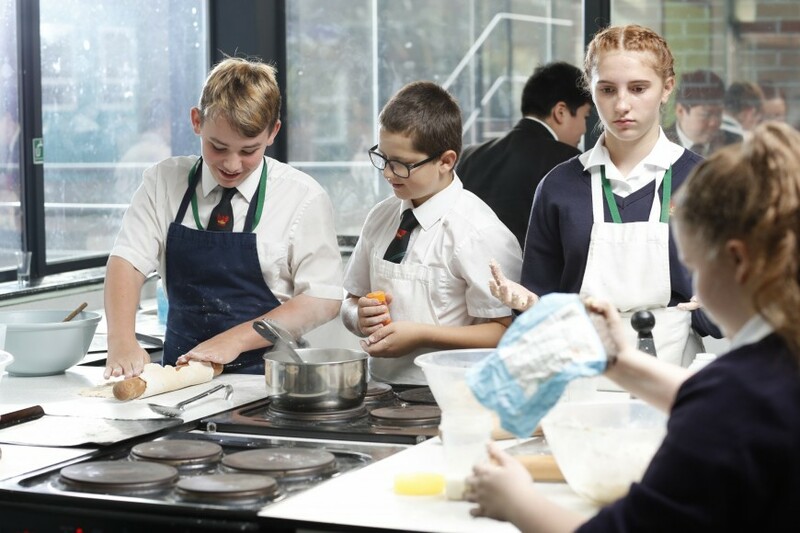 Annual MasterChef and Bake Off competitions are held for students across the Key Stages. These are always extremely popular and the standard of competition is very high. 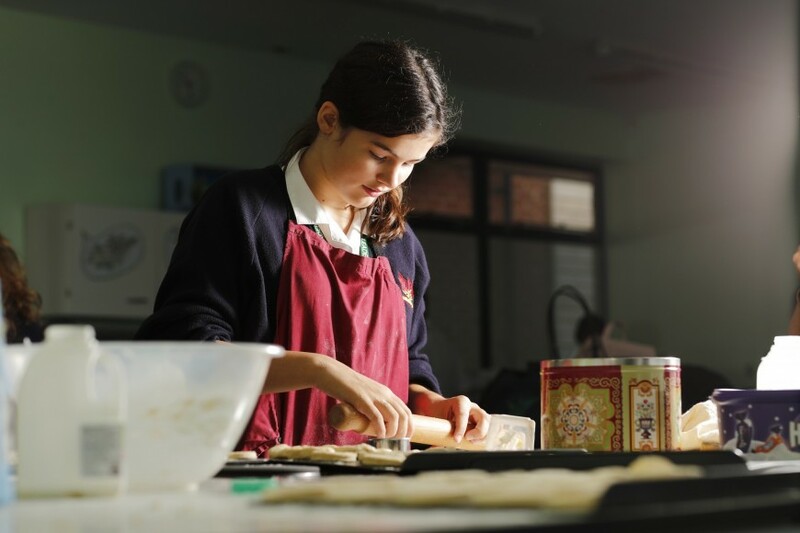 Some year groups also participate in inter-tutor baking competitions. 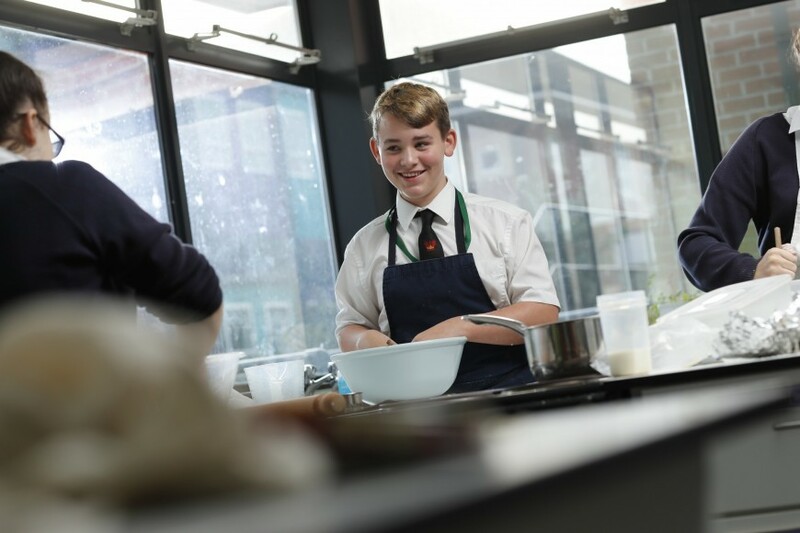 In the 6th form, tutors and their students work together to outdo each other with their cooking skills and win points for their tutor groups. 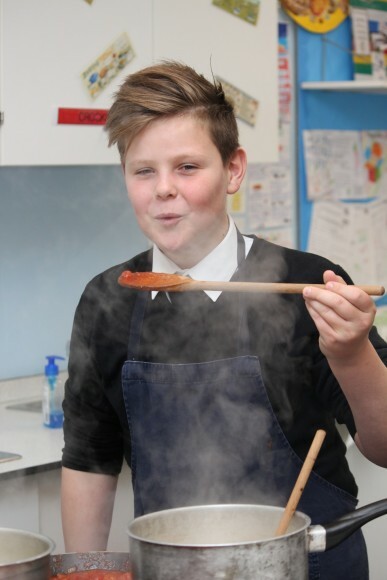 The department has also assisted a number of Year 10 students in completing the Cooking Skills component of their Duke of Edinburgh Award course and Construction offer a Duke Of Edinburgh Skills course. 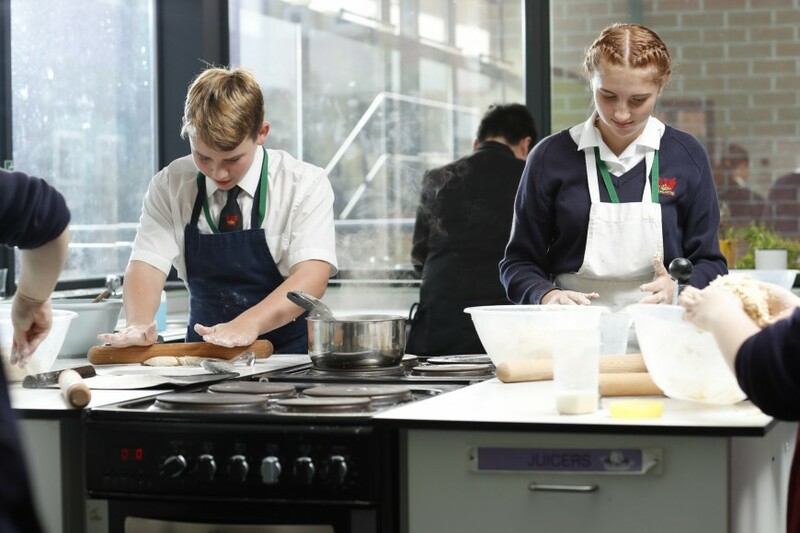 Year 13 students often go on to study Technology related courses in further education, for example, Baking Technology; Textile Technology; Design and Technology Teacher Training. Currently we are focused on improving achievement in specific areas of the subject at both GCSE and A Level and further develop the new Construction course at KS4.